And so, although this is my second baby, I decided to go for a hospital tour. My gynae delivers at Mount Alvernia and Mount E Orchard. I delivered my #1 at Mount A and was upset that for my first night, all the single rooms were full. As a first time mum, I really wanted and needed the company of my husband and his support by being there. Also, I had wanted the rest that I badly needed after the birth. I was pushed into a quad room and the other mummies who were there were chatting or had visitors or were watching tv and I couldn’t rest. Lucky thing was the very next morning I got upgraded to a single room. This time round I really wanted a single room. But people are telling me Mount E is more ex (which of course it is) and is old, not like Mount E Novena which is like a hotel. Well, I decided to go down to just take a look to help me decide. So as we registered at the lobby, we were immediately given our goodie bag. So while waiting for the tour to start, we had fun rummaging through it to see what was inside. In a Mount E bag, they gave us a package from Motherhood Magazine which consists of some Kodomo samples, Mamypoko Newborn diaper sample, and Bepanthen samples. There was also a card to call NTUC income to collect a free gift but that’s just too inconvenient to do so. (Take note that the hospital uses Huggies and not Mamypoko which was given as samples by Motherhood) Stemcord gave a nursing shawl which is a very useful gift for those who intend to breastfeed. I have a similar one that I bought last time! For those giving birth in 2015, we will be given a nursing shawl too as part of the SG50 gift pack. There was also a file with all the documents inside with information on package prices, parking prices, cord blood banking, birth registration and the form for pre-registration. Mount Elizabeth Orchard encourages you to do pre-registration before the EDD so that when you have labour and come to the hospital, there is no need to worry about the paper work at all. There are a few ways you can pre-register. You can go down personally to the Admissions corner at level 2 near the drop off point (photo below) to do the registration. you have to bring the pre-registration form, your IC/Passport and a doctor’s letter that states when your EDD is. You will queue up, do the necessary administration and collect a white envelope at the end of it which you have to bring on the day of your labour. You can also fax in these documents to the number stated on the pre-registration form. But you still have to turn up to sign the documents and collect the pre-admmission package (the white envelope). You can also scan and email the documents to the personnel who brought you on your hospital tour and she will submit the documents for you. You will still have to turn up to sign the documents and collect the pre-admission package. 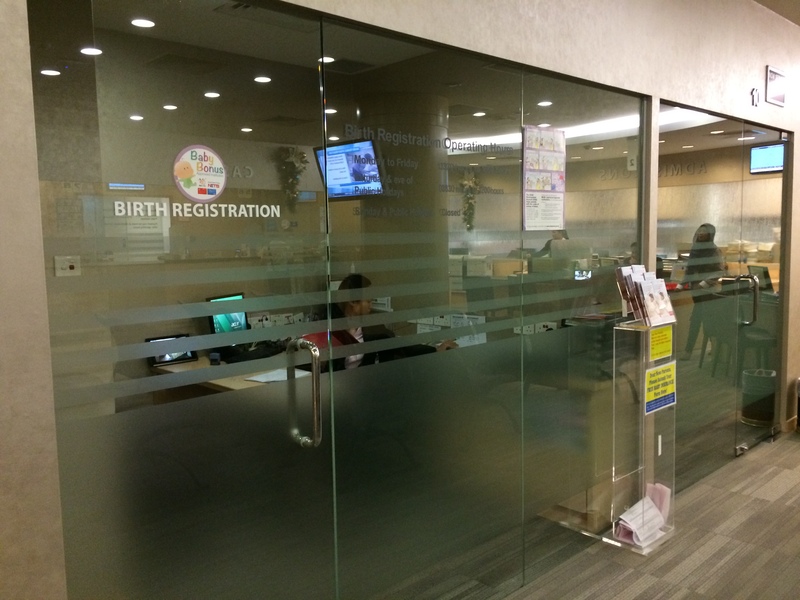 After the birth of your child, you have up to 14 days to register the baby at this room to the left of the Admissions counter, afterwhich you will have to do it at ICA. If you want to do the birth registration, you will need the original marriage certificate and both ICs of the parents. Next, they brought us to the delivery suite which is located on level 3. If pre-admissions had been completed prior to the time of labour, we can proceed directly to the delivery suite. If it is not done, it is still ok. Mummy will go to the delivery suite but daddy will go to do the paper work. 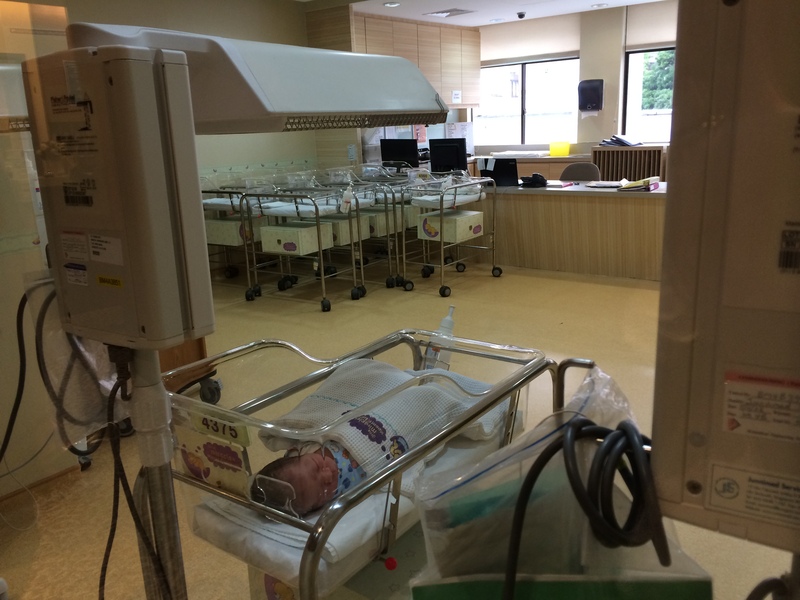 At the delivery suite, you will be hooked up to the CTG for them to monitor the contractions and the baby’s heartbeat. There is an attached bathroom. 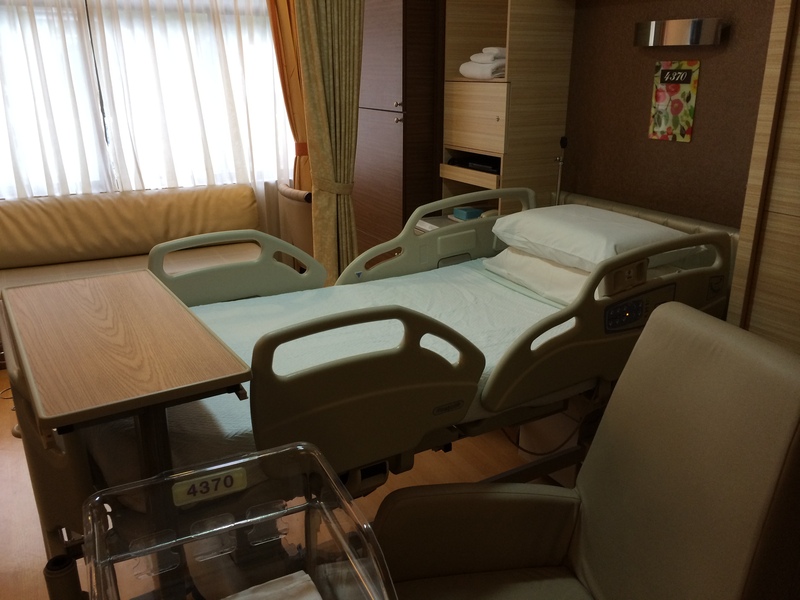 (In Mount A, 2 rooms had to share a bathroom) You don’t have to proceed to any observation ward prior to the labour ward. (I think only KKh have to do this. 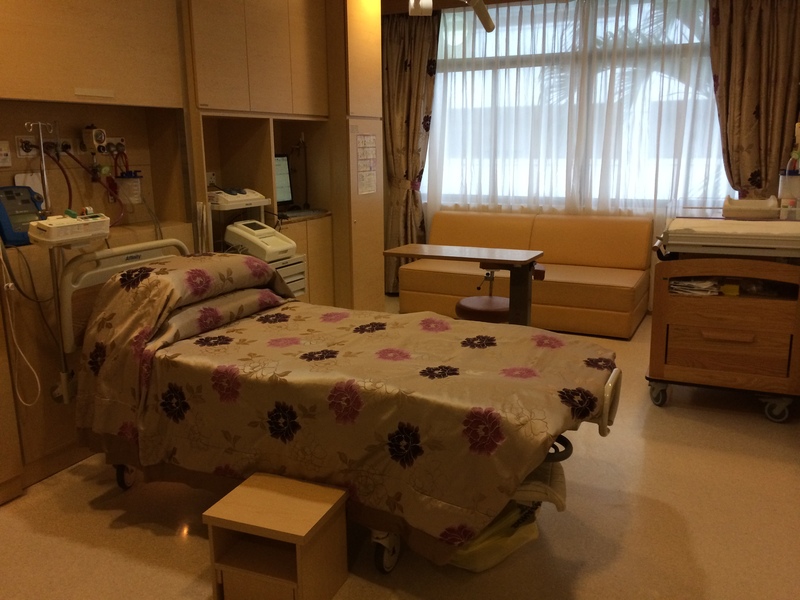 At Mount A it was direct to the labour ward too) However, if the 7 delivery suites are full, (which they said happens during peak periods on days like Christmas, New Year, Chinese New Year, etc) they will place you in a temporary room to observe first. One delivery suite actually comes with a bathtub for mummies who wants to have a water birth. I thought this concept was very interesting. Those who are interested, can just tell the hospital staff of your birth plan. What I liked about the delivery suite was that there is a comfy sofa on which the daddy can lie flat and sleep while waiting. I remember in Mount Alvernia it was just an armchair, though my hubby didn’t have a problem snoozing while waiting. 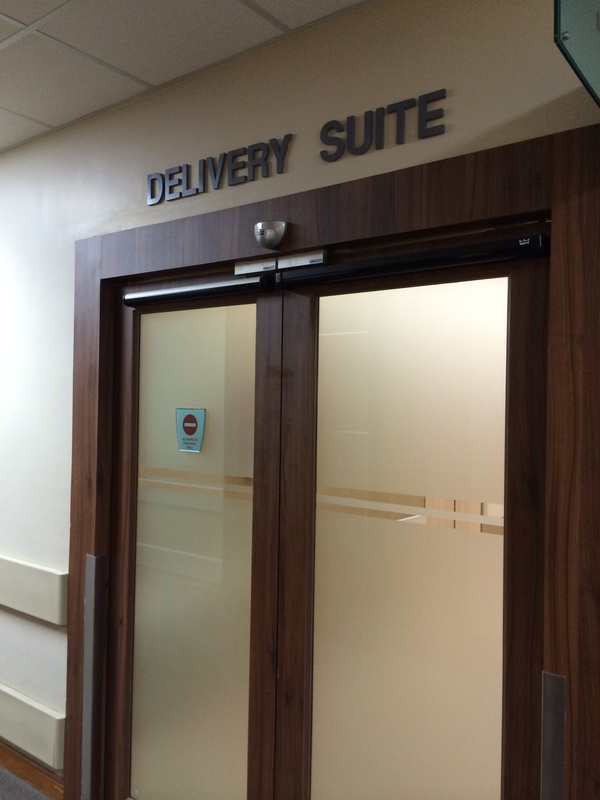 After delivery, you would remain in the delivery suite for about 1-2 hours. They will be cleaning and weighing the baby and if you so choose to breastfeed or have skin-to-skin, this is when you do it too. 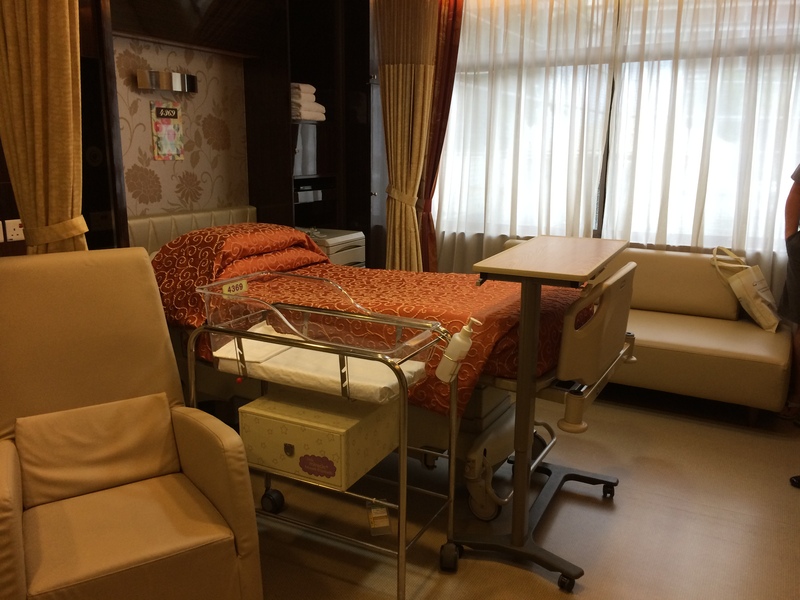 This room is very close to the operating theatre and the NICU in case there is a need for emergency C-sect or if the baby needs extra attention. After this 1-2 hours, you will be pushed to the maternity wards which is on level. 4. 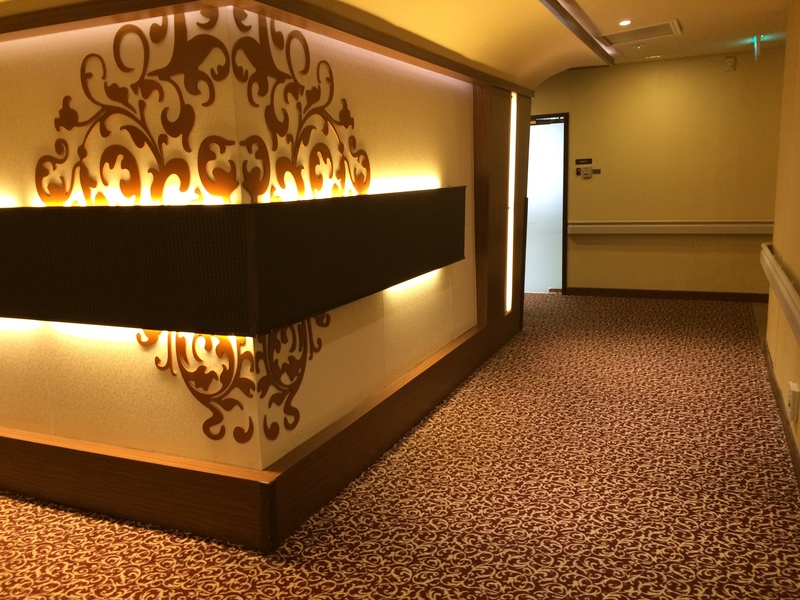 On entry to the maternity wards, the deco along the corridors makes it very hotel like. The olden, high-class kind of hotel deco. It gave a very posh, tai-tai feel to it. Another mummy who went to the Thomson Medical Centre (TMC) for the hospital tour commented that here, the corridors are much larger and spacious. It is also quieter here. TMC felt like everyone was rushing here and there. While visiting the labour wards, there were 3 babies just delivered and had to be pushed along the corridor to the nursery and they had to make space along the corridor and it had a very busy feel, compared to Mount E Orchard which had a very relaxing, spa-like feel. On the way to the wards, we passed by the nursery. To my surprise, there was only 1 baby in there! Was there only 1 mummy who gave birth there today? The tour personnel explained that they encourage rooming in with the mummy, if possible 24 hours, unless the mummy needs to rest. Hubby’s and my first thought was: Confirm we need to rest. Hee hee. Babies and Mummies will be tagged with a “Hugs & Kisses” tag. If happen someone pushes the baby out of the ward, the mummy’s tag would sound an alarm. If the nurse happen to push in a wrong baby to the mummy and the tags don’t match, an alarm will sound too. If it’s the correct baby, a melody would be played. This is so interesting and cute. 🙂 Of course it is all for security and recognition of the baby. Even daddies are not allowed to push the baby from the nursery. Only mummies or nurses can do so. The maternity room will be where you stay for the next 3-4 days. At the time of the tour, there were no double rooms available at all. Due to the high demand for single rooms, they have converted almost all rooms into single rooms(26 single rooms in all), leaving only 2 double rooms and all 4 beds were occupied at the time of the tour. The room size of the double room is slightly bigger, with the furnishings exactly the same, just that instead of a lodger bed for the daddy, it is another bed for another mummy, with curtains to separate the 2. From what I saw when I peeped into one of the double rooms, it is still quite spacious if guests were to visit. The single room is simply furnished with an attached bathroom. There are the usual amenities like the safe, closet, minibar (pay for every consumption). Toiletries are provided, sheets/blankets/pillows are provided for the daddy as well. Additional perks for the mummy are 15 minutes of post-natal massage and a celebratory dinner for 2 or a cocktail party for 6. 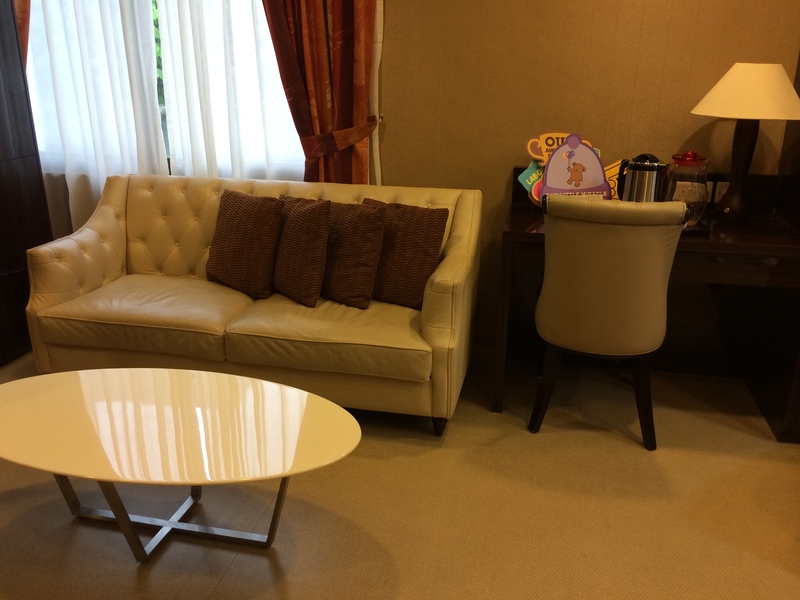 The VIP/premier suites, which they call their Daffodil/Magnolia Suites are quite similar to the single room in terms of amenities, considering the price is more than double. It is definitely larger, with an extra sofa and living room area for guests. Minibar is complimentary and will be replenished everyday. 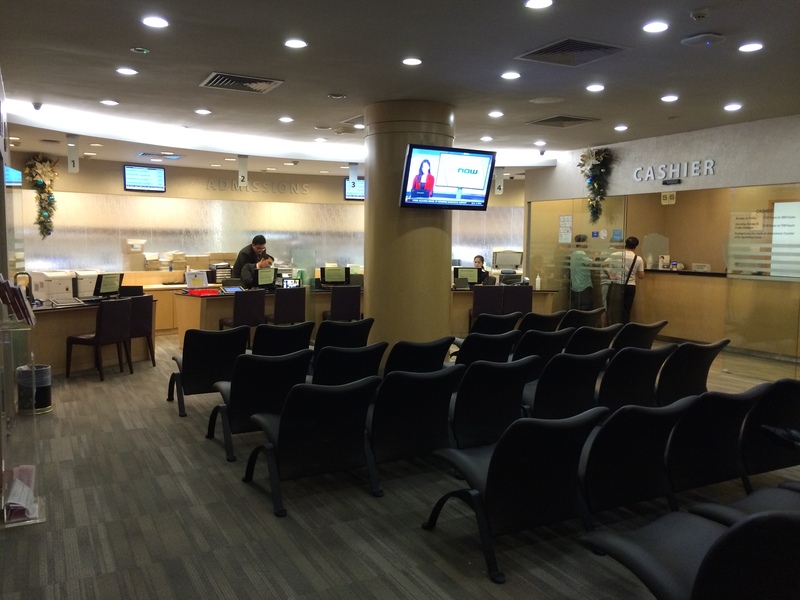 There are also additional perks like free mani-pedi for the mum, 24-hours personal nurse, etc. At the end of the tour, we gathered at the Parentcraft room where during your stay, (if you are interested) they will hold lessons there to teach you how to handle the baby. They also have Parentcraft lessons for expectant mummies and daddies to attend prior to birth and this course is free if you sign up with Stemcord! We then had some Q&A and were given the feedback form and refreshments. 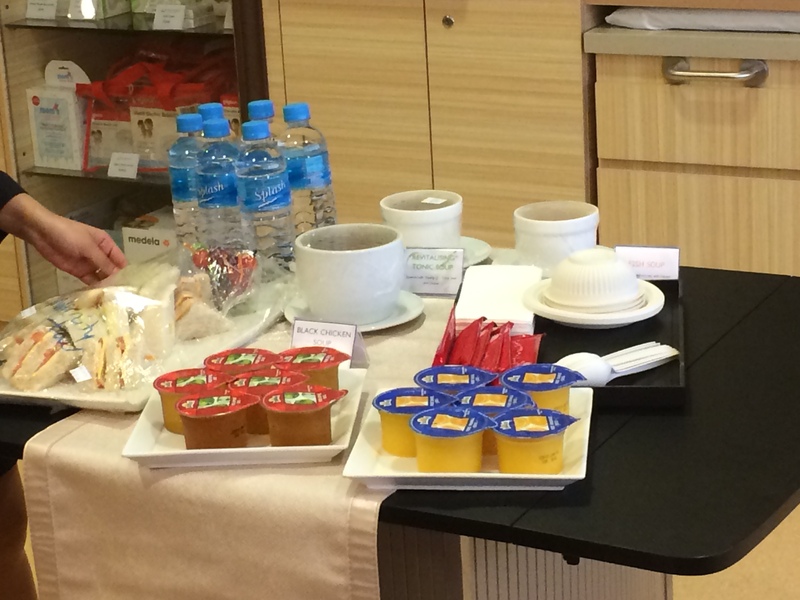 Part of the refreshments was samples of 3 soups from the confinement menu that the mummy can choose while staying here. We tried the black chicken ginseng, papaya fish soup and some herbal soup. They were not bad, quite tasty, although the fish soup was quite oily. But at least it didn’t feel like they were scrimping on the herbs for the soups. That ended our tour and quite confirmed our decision to deliver our #2 there. Some questions that we got clarified at the tour was that parking is complimentary for 1 car. We will have to register the IU number and the car will have unlimited entry and exits during mummy’s stay at the hospital. If you had a 2nd car there is no option of a season pass that you can buy. We also found out that our #1 could stay in with us if it were a single room but we had to sign an indemnity form for his stay. hi there =) will u have the rates for delivery at mount e orchard? Hi. Yes I do. Email me your number I what’s app to you? Hi, if your #1 were to stay with you, would the child also need to pay a lodger fee? I remembered only 1 narrow sofa bed available in the room. Will they provide another sofa bed for the child too or share the existing sofa bed? No they won’t provide another bed. The room is too small for that. And will have to sign some sort of consent form for the child staying there. My #1 is 1+ years old and they didn’t mention lodger fees. Maybe older kids will need cos they will eat there. Hi Putri, Apparently they increased the prices in February. I don’t have the new prices. Sorry. Can send me ur bill so my sis can plan for her cost? Its ok if they have increase price but at least we know roughly how much. Hihi. Bill is about $3.5k for the package of single room with epidural, $400 for medical supplies and medication, $2.2k for doctors’ fees (anesthetist, gynae, pd) medisave deduct $2.1k. Paid about $4.2k cash. Hi, may i know who is ur gynae? We wanted to go for MA’s maternity tour today, 08.07.15. There was 1 cancellation and we could make it there max 10mins late. However, we spoke to one of their nurse, Ms A, who seem very insensitive to our needs. As we plan to have a look at the hospital and the rooms to see if it suits us and our requirements before booking a gynae tagged to that hospital. For 10mins late, we would advised against coming for the maternity tour, which we are alright with it, as to us, its the visual that counts most. We have visited other hospitals and MA is regretfully to say, the worst hospitality! Counter staff Ms G tried damage control but the damage has already been done, thank you for saving me 1 trip down MA. You got my thumbs down even before i see your premises!